“Ireland is less today for his passing,” Leo Varadkar said. 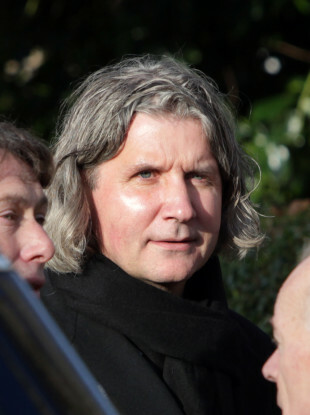 TRIBUTES HAVE BEEN paid to music promoter John Reynolds who died at his home in Dublin at the age of 52 yesterday. Reynolds was one of Ireland’s leading independent festival and concert promoters, whose company POD founded festivals including Electric Picnic, Forbidden Fruit and Metropolis. The company also operated the POD nightclub at the historic Harcourt Street train station for almost two decades before it closed in 2012. In a statement issued yesterday evening, Reynolds’ family expressed “great sadness” at his sudden death at his home in Milltown, Dublin. They added that funeral arrangements will be announced in the coming days, and requested privacy at this time. “Just heard about John Reynolds, my condolences to his family and friends. You may not have heard of John before, but if you’ve been to Electric Picnic, Forbidden Fruit, shows at Pod venues in Dublin, then you know John’s work,” singer James Vincent McMorrow tweeted. The Stunning’s Steven Wall said: “Saddened to hear of the death of John Reynolds. One of the first gigs he promoted was The Stunning in Moate, Co Westmeath around 1993. Economist David McWilliams tweeted that he is “completely devastated at the death of an old, old friend”. I am completely devastated at the death of an old, old friend tonight, John Reynolds. I can't really take it in. Far too soon. Can still hear him at the kitchen table here, telling stories, full of infectious enthusiasm, planning the next festival. Heartbroken. RIP Gino. Hard to take in the news tonight of the passing of John Reynolds. A true giant of Irish Music, he shaped many of our best loved festivals and music venues and raised the bar for live music. Deepest sympathies to all his family and friends. Minister for Culture Josepha Madigan said Reynolds was “a visionary”. “Deepest sympathies to the family and friends of John Reynolds. He was a creative force on the Irish music scene,” she said. It has also been announced that this weekend’s Metropolis Festival at the RDS Arena will go ahead as planned. Email “'A visionary', 'Inspirational': Tributes paid to well-known music promoter John Reynolds”. Feedback on “'A visionary', 'Inspirational': Tributes paid to well-known music promoter John Reynolds”.